Toronto is Canada’s leading industrial, commercial and cultural center. Having earned its name from the native word for “meeting place,” Toronto is a sprawling, cosmopolitan place — the United Nations recently deemed it the world’s most ethnically diverse city. A performing arts powerhouse, the city presents everything from Broadway musicals to standup comedy and opera to dance. 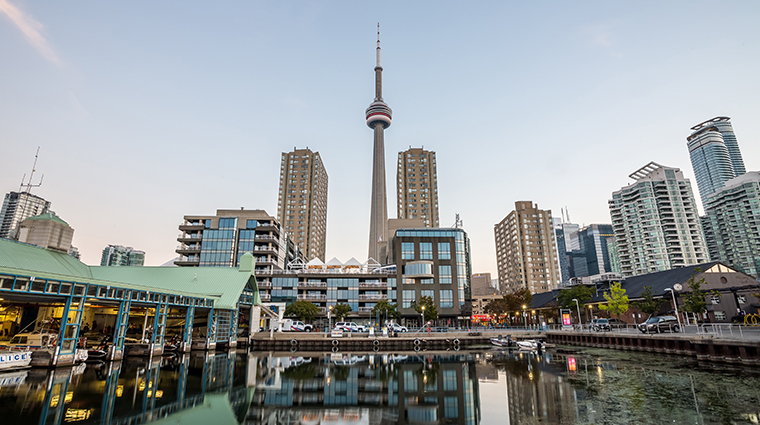 Good shopping can be found throughout the city, but Torontonians are most proud of their Underground City, a series of subterranean malls linking more than 300 shops and restaurants in the downtown area. The other source of the city’s pride is its professional sports teams, including the Maple Leafs (hockey), Blue Jays (baseball), Raptors (basketball) and Argonauts (football).